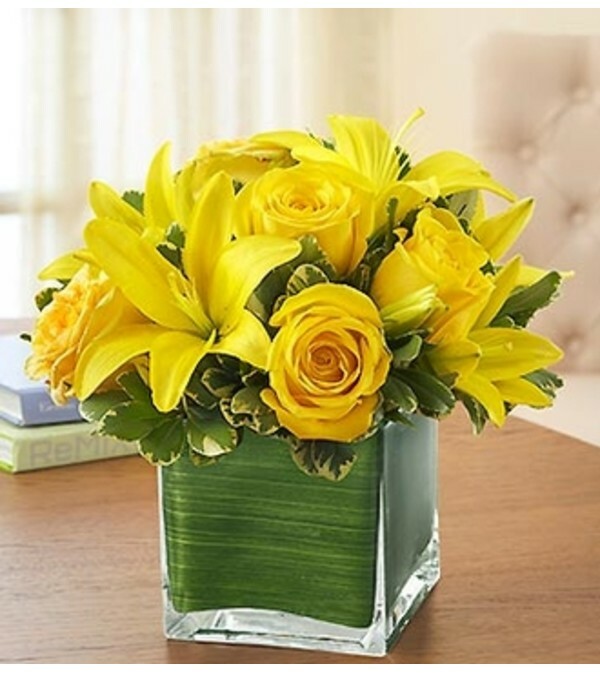 Take yellow roses to symbolize joy and happiness. Add yellow lilies for gratitude and abundance. 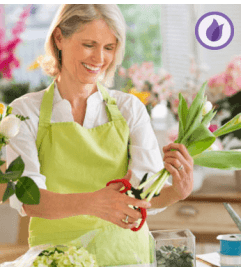 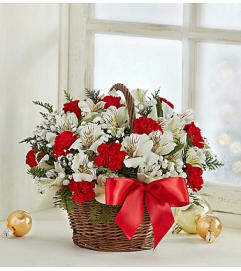 Together they make a lasting expression of your feelings on birthdays or anniversaries, or to send a memorable gesture of friendship, thanks, or "miss you much." 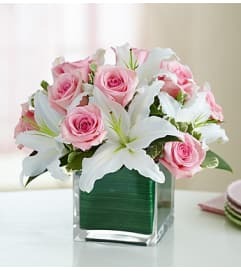 Hand-gathered inside a chic clear glass cube vase, this arrangement is perfect for dinner tables, desktops or entryways.